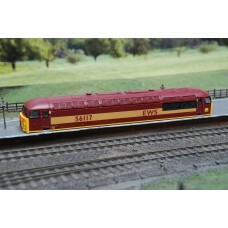 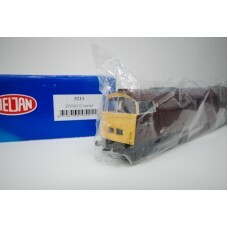 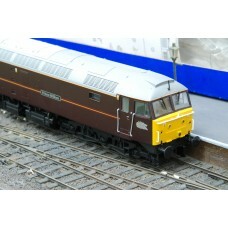 The Prince William, Class 47 diesel locomotive in Royal maroon colours as produced by Heljan with mo..
A detailed Heljan 5211 Class 52 Western Prince Courier in British Railways (BR) maroon, DCC ready fo..
A Bachmann Class 55 Deltic, Queens Own Highlander, numbered D9004 is DCC Fitted. 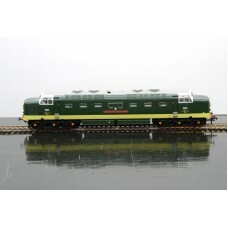 The Bachmann model .. 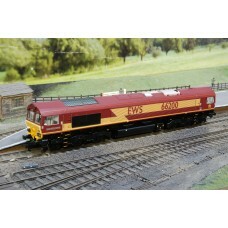 The Class 57 First Great Western, running number 57602 is a detailed OO gauge model locomotive produ..
A vibrant Class 57 Freightliner Challenger from Bachmann, model code 32-753 and running number of 57..
Heljan's Class 57 First Great Western, Pendennis Castle is a detailed OO gauge model train in rich g..
A class 66 EWS diesel locomotive in OO gauge, numbered 66042 and named Lafarge Buddon Wood, this det..
A body for a Class 56 EWS diesel locomotive, produced by Hornby with product code R2288B. 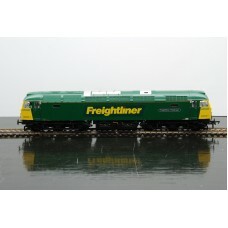 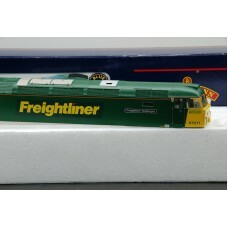 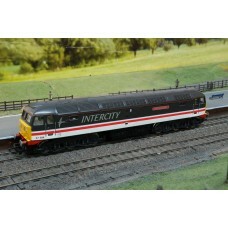 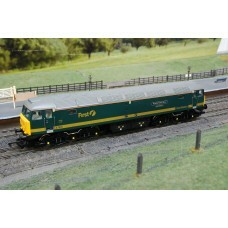 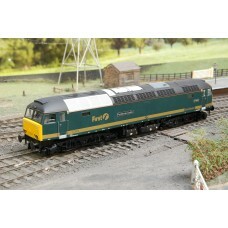 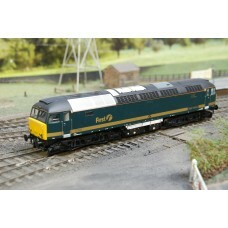 This is a ..
A First Great Western Class 47 OO gauge diesel locomotive produced by Hornby railways with model tra..